Chicago has more than its share of exciting things to see and do. Just as appealing are the numerous outdoorsy, relaxing places to enjoy within a few hours’ drive from the City of Big Shoulders. Larger groups often embellish trips with the added convenience and relaxation of a professional car service or passenger van. Here are just a few of the top weekend getaway sites. 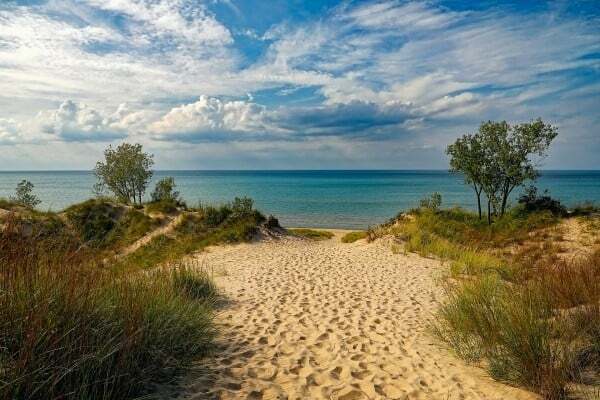 The Indiana Dunes, 55 miles southeast of Chicago, are the wide, sandy beaches of southern Lake Michigan where towering dunes, bike trails, and enticing birds abound. Taking a car service to Indiana might also include a trip to nearby Chesterton, offering creative eateries and lovely nights at the DunesWalk Inn, a restored 1881 mansion. Each Saturday morning, farmers and European market artisans gather to sell produce, flowers, bread, and fresh cheeses. Later on, visitors can climb the steps to the lantern room of the 1858 Michigan City beacon for a look at the maritime history of the area. Large groups attending football weekends at the University of Wisconsin may want to consider a car service or passenger van rental to Wisconsin. The college town blends eclectic with classy in its museums, shops, outdoor activities and more than 600 restaurants. Even the farmers market on the state capitol square offers a diverse selection of local produce, art, and entertainment. Take a cruise around Lake Mendota, peruse the art at Chazen Museum of Art, or just stroll the paths of the Olbrich Botanical Gardens or the University of Wisconsin Arboretum. This stunning area along the Illinois River, 100 miles southwest of Chicago, boasts no less than 14 waterfalls and 18 sandstone canyons, plus wildlife and birds galore. Dine at the historic Starved Rock Lodge, sleep in one of its cabins, and then greet the day with a guided hike, a paddle boat excursion, or any of the special events and interpretive programs. In nearby Matthiessen State Park, visitors can also enjoy a remarkable mile-long canyon with five miles of trails meandering past waterfalls, rocks, and sometimes dizzying trajectories. The restored 19th Century buildings of Bloomington, 130 miles to the southwest, feature farm-to-table dining, music venues, shops, and a three-story courthouse with a museum accenting the area’s history. From June to mid-August, car service may be an option for theater lovers drawn to the Illinois Shakespeare Festival and its Shakespearean improv, sing-a-longs, and classic performances. From auto racing in Wisconsin to Amish Country in Indiana, there’s much to see, do, and enjoy within a few hours’ drive from Chicago. For added comfort and convenience, many travelers opt for professional car service.